Though we're from opposite sides of the country, (Kevin from Maine & Lucinda from Oregon) the splendor and wildlife of the Alaskan wilderness called to us both. We met at an Alaskan Lodge where we had jobs for the summer and were introduced to sharing Alaska’s beauty with others. 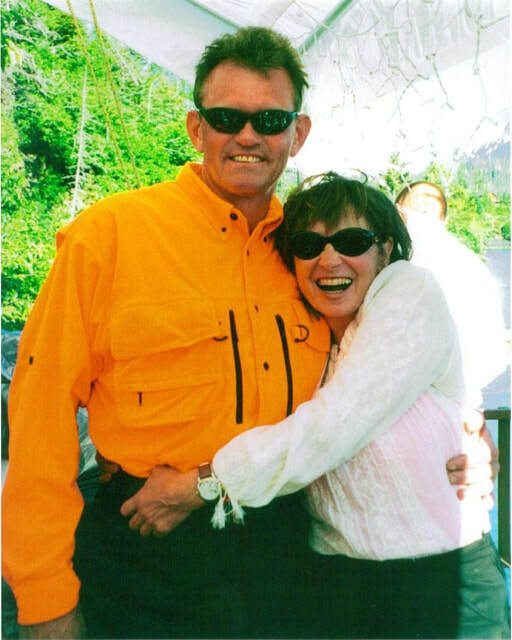 We have lived the Alaskan dream for 40+ years and have been married for almost as long! We’ve lived in the bush off the land and we built and managed a Brown Bear Photography guiding business on the wild Alaskan Peninsula in 1978. Our passion is Alaska, whether we are working on the family oyster farm, hiking, fishing, kayaking, photographing wildlife, growing our garden, or trekking with our llamas. We don’t put on our lodge owner caps when the first guests arrive, only to remove them when the last guests leave. ​You will find the Sidelingers at The Ridgewood all year long, making improvements. We’ve lived in the bush off the land and we built and managed a Brown Bear Photography guiding business on the wild Alaskan Peninsula in 1978. We have owned Llamas since 1982, using them for camping trips into the wilderness areas around Kachemak Bay and other wilderness areas on the Kenai Peninsula. We managed a small lodge on Alaska's coast line for six summers. For 20 years we have been raising oysters and selling two to three hundred dozen every week, year around. A relatively young industry for Alaska, we make our living oyster farming, selling our product to restaurants and other markets. We do all the planting, harvesting and maintenance of the farm together, sometimes employing an extra person when we are restocking the nets with young oysters or during the busiest times of the summer, otherwise it is just the two of us. We have a three acre site in a small protected cove. The 400' long lines are suspended on the surface and held up with large buoys; hanging from the long lines are the oyster nets. The oysters grow in the top 20' of water fed by the rich, cold waters of Kachemak Bay’s glaciers and estuaries. The demand for these superior oysters is greater than can be provided for. 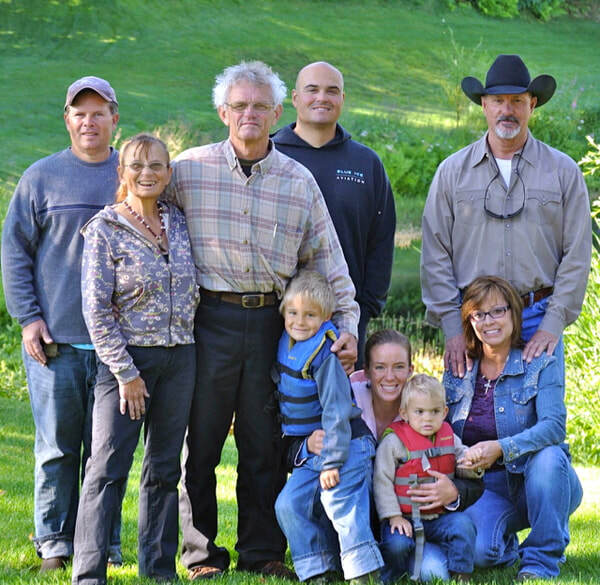 Having an oyster farm has enabled us to work together and live this rural Alaskan lifestyle that we treasure so much. This self created lifestyle has allowed us the means and the time to create our beautiful lodge. Though our lodge, designed & built by Kevin, has been in the process for a long time our goal has always been to share Alaska’s Ridgewood Wilderness Lodge with folks who want to experience Alaska’s splendor. Our family seems to have an inherent fondness for Wilderness Lodges in Alaska, as Bowman & Jessie also fell in love while working at another Alaskan Lodge, were married at Alyeska Ski Resort in Girdwood Alaska, and now reside full time in Halibut Cove helping run and manage Alaska’s Ridgewood Wilderness Lodge, and the Sidelinger family oyster farm. Their young sons Talon & Chase are the newest additions to the Sidelinger Clan. Bowman and Jessica are life-long first generation Alaskans. Jessica was born in Anchorage, and Bowman was born in a one room log cabin on Rabbit Creek Alaska. Bowman, as a newborn baby, was with his parents, Kevin and Lucinda, on the wild Alaskan peninsula where they managed a Brown Bear Photography Camp beginning in 1978. Bowman spent his child-hood growing up on the south side of Kachemak Bay, hiking and fishing and enjoying the outdoors. At an early age it was difficult to take Bowman into the wilderness because of his short legs. We solved that problem with the purchase of our first llamas. 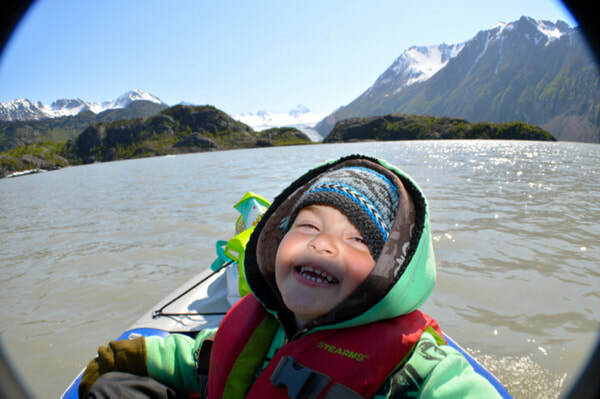 At four years old Bowman quickly learned to ride his favorite llama, Conan, and we could go for extended family trips into the Kenai Mountain Range. Bowman was home schooled through the fifth grade, after which time he attended public school to play sports, returning to Halibut Cove in the summer. After high school he served four years in the Air Force, coming home to the Alaska he cherished.